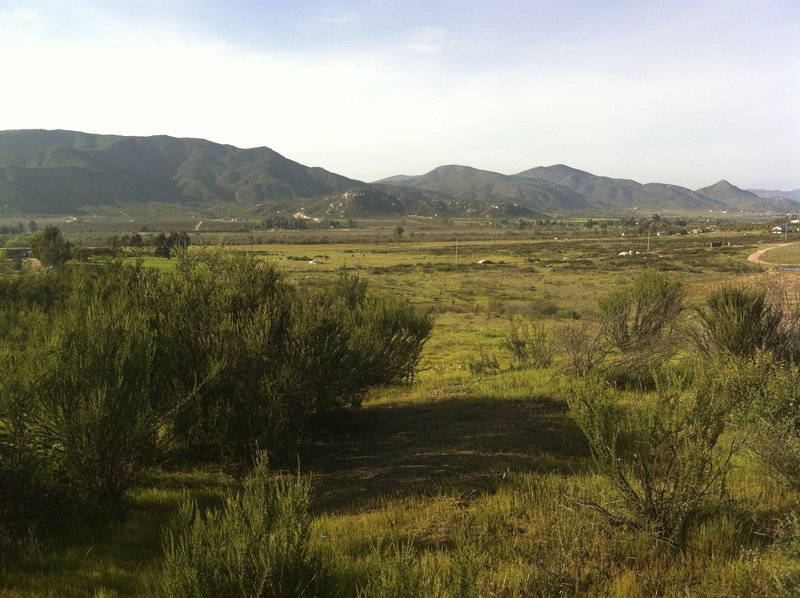 When we left San Diego, we decided to head east and cross the border at Tecate instead of Tijuana. We’ve had much better experiences crossing here, especially when we’re headed back to the US as I don’t think we’ve ever taken any less than three hours going north at Tijuana versus a half hour, at maximum, at Tecate. We were hoping to get the air conditioning compressor changed on the Lincoln LS in Tecate, but were directed to the Ford dealership in Ensenada instead. Mom and I weren’t uncomfortably hot in the car, but we knew it was going to get much warmer as we continued south. 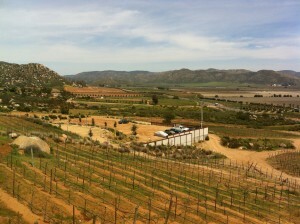 The road from Tecate to Ensenada is called the Wine Route or “Ruta del Vino” and connects over 50 wineries in the state of Baja California. Although few people think of wine in Mexico, it is actually the oldest wine-growing region in North America (and yes – Mexico IS part of North America!) 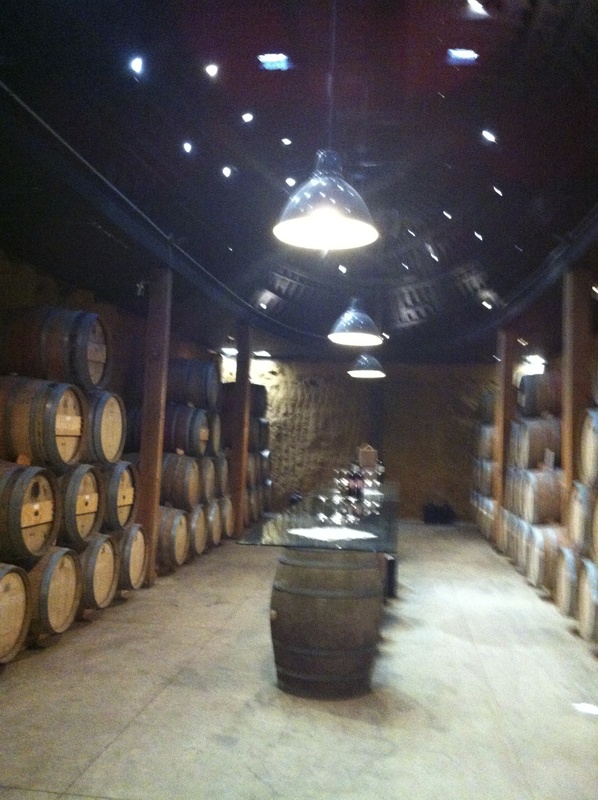 and have produced wine since the sixteenth century when the Spaniards arrived with vine clippings from the old country. The Wine Route takes you through four different valleys (Guadalupe, Llano Colorado, Santo Tomas and San Vicente) and provides a Mediterranean microclimate that is in the midst of a tourism and winemaking renaissance that Napa Valley experienced in the 1970’s and that the Okanagan Valley in southern British Columbia in Canada has recently experienced. Besides the stunning scenery, the Baja wine country offers a wide range of world-class restaurants, B&B’s, and luxury hotels and it’s developing more every year. If Mexico is able to get the drug war under control and make the border towns safe again, we expect the tourism in this area to expand tremendously over the next decade with visitors from the US and beyond. In the meantime, we’re savoring every trip though this region and realize the potential of what will continue to develop over time. Unfortunately, because we were anxious to get the car repaired and the weekend was upon us (most businesses close at 1:00 on Saturday and don’t open again until Monday in Mexico), we had to hurry on to Ensenada on this trip and not explore what the wine country had to offer. I hope that we have more time the next drive down with Mom. We checked into the Hotel Mision Santa Isabel, a once-beautiful property, but quickly realized that this hotel is a sad memory of its former self. It is perfectly situated, however, and provided close and safe access to good restaurants and shopping. Next time, however, we would stay at the Hotel Cortez across the street (www.bajainn.com) as it appeared very well cared for and they served us a delicious breakfast the next morning. Mom loves horses and we took a horse drawn buggy down the main thoroughfare to the Telcel location to get our Mexican phones working, got the car fixed at the local Ford dealership and finally got our convoy on the road for the next leg of our Baja journey. Tagged 1970's, air conditioning, B&B's, Baja, Baja California, border, border towns, breakfast, British Columbia, buggy, Canada, compressor, convoy, dealership, decade, drug war, Ensenada, Ford, Guadalupe, horse-drawn, horses, Hotel Cortez, Hotel Mision Santa Isabel, journey, Lincoln, Llano Colorado, luxury hotels, Mediterranean, Mexico, microclimate, Mom, Monday, morning, Napa Valley, north, North America, Okanagan, old country, phones, region, renaissance, restaurants, Ruta del Vino, San Diego, San Vicente, Santo Tomas, Saturday, scenery, shopping, south, Spaniards, Tecate, Telcel, Tijuana, tourism, US, valley, vine, weekend, wine, Wine Route, wine-growing, winemaking, wineries, world-class, www.bajainn.com. We stopped at two classic southern institutions to see what they were all about. One was Cracker Barrel as we’d seen their signs everywhere in the southeastern states and we stopped at a location somewhere in South Carolina. We weren’t terribly hungry, but thought that a biscuit and coffee would hit the spot. Our waitress was lovely, with her soft, Southern accent and going out of her way to fill our order. They don’t normally sell their baking powder biscuits separately , but she checked with the kitchen and came back with a bag of a half-dozen biscuits, two corn meal muffins (a bonus! ), butter, cream cheese, apple butter, blackberry preserves and honey. 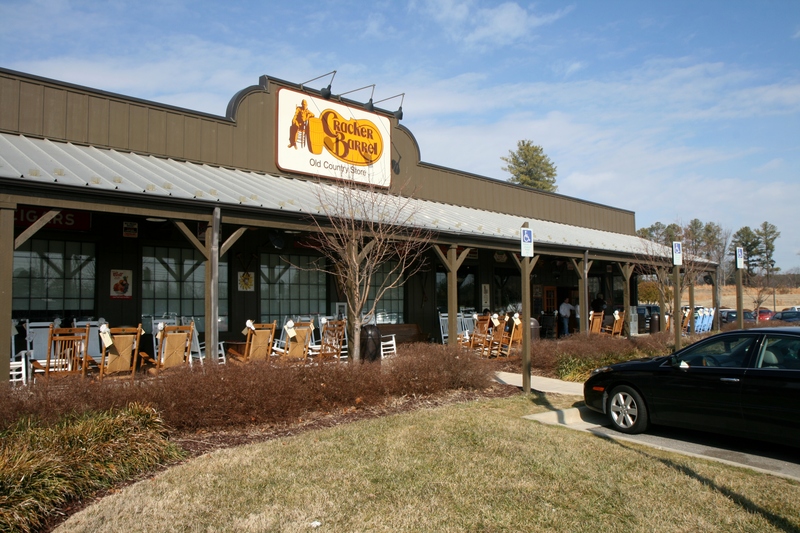 They were delicious, but it was the quality of service that will always endear our Cracker Barrel experience to us. Our other occurence was memorable, but in a completely different way. We stopped at a Waffle House location, another restaurant chain that appears all over the south, because Ron has a soft spot for waffles and I was determined to try some cheese grits. We stopped at a Waffle House located in Lafayette, Louisiana, and the comedy that we experienced far surpassed the quality of the food we were served. The whole scene was like something out of a Candid Camera episode (for those readers old enough to remember that show!) – I kept looking around for the camera! There were five women working that morning and we gathered that at least two of them were related – mother and daughter, actually. They couldn’t take orders, didn’t provide the utensils needed to eat our breakfasts, nothing offered or served with Ron’s coffee, no syrup brought for Ron’s waffles, no one checked to see if everything was okay, the women were arguing in front of the customers, one of them insisted they weren’t “uppity” like other Waffle House locations, the cook couldn’t get the orders straight, one woman insisted on slopping water on the floor by the grill and mopping despite safety objections from the cook and other workers, etc. Ron was teasing these women mercilessly and they had no idea that he was having fun with them. At one point, Ron asked our waitress if she was the slightest bit curious about whether or not he was enjoying his breakfast (since she hadn’t checked with him). Even with that prompting, she was completely oblivious and insisted that everyone likes the breakfasts at Waffle House. The whole experience was surreal! The grits, by the way, were underwhelming – basically cream of wheat-like cornmeal with lots of butter and, because I’d ordered cheese grits, my serving was topped with a slice of processed cheese. I couldn’t believe it. I’m sure there are better grits (and waffles) to be had, but we wouldn’t have missed this comedy show for the world! Tagged apple butter, baking powder biscuits, blackberry, breakfast, butter, Candid Camera, coffee, comedy, corn meal muffins, Cracker Barrel, cream cheese, grill, grits, honey, Lafayette, Louisiana, preserves, South Carolina, southeastern, southern, syrup, uppity, Waffle House, waffles. The Best Omelet Ever at The Hampton Maid! Twice a year, Ron and I have the great privilege of traveling from Cabo San Lucas to Southampton, New York and then back again. (over 5,100 miles each way). I joined him in early October this year so that we could do a little touring and exploring before we hit the long road back to Mexico. 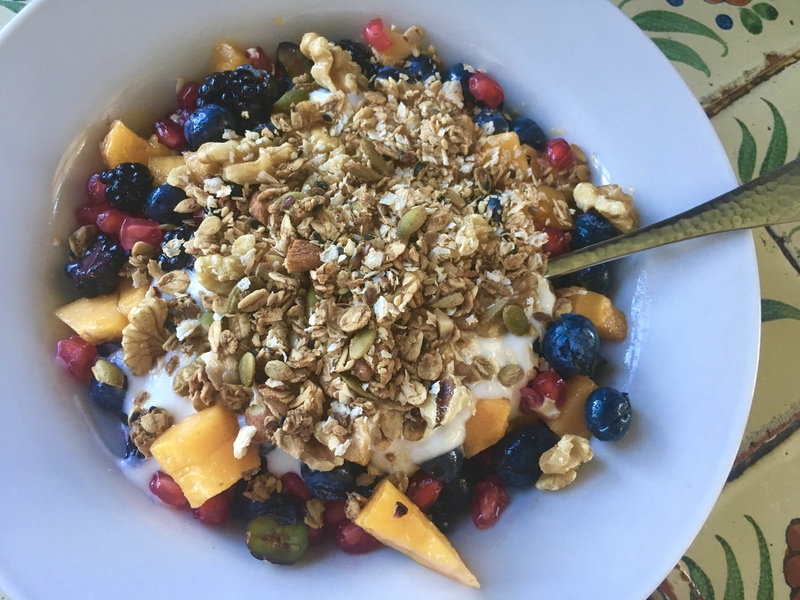 We took our car in for servicing one morning before we left to ensure that it was road worthy and ready for the long trip and walked to a well-known restaurant in Hampton Bays for breakfast while the car was being worked on. The Hampton Maid, established in the year I was born, offers lodging, a great little gift ship and a restaurant that only serves breakfast (www.hamptonmaid.com). When you serve breakfast that is this good, you only need to be open for this meal every day! The staff was very friendly and the service was excellent. Looking around the room, it was apparent that the restaurant was enjoyed by lodging guests, locals reading the latest Dan’s Paper or the morning’s New York Times, and people meeting for business. Our waitress delivered a carafe of coffee to the table while we considered the menu and the specials that she described for us. Ron chose Eggs Benedict and I ordered their featured omelet and we decided to share a side dish of corned beef hash. The food was prepared and served to us quickly; beautifully plated and presented on warmed plates. Ron’s dish was very good and the beef hash was home made and delicious. The omelet, however, was truly outstanding – without question the very best omelet either of us had ever tasted. The omelet itself was the lightest and fluffiest I’ve ever had and they flavored it with very thin julienne slices of ham, Brie, and a locally grown Honey Crisp apple. It was not only visually colorful and appealing, but the combination of sweet and savory flavors was a delightful surprise. This omelet was so good that we stopped to pass along our kudos and compliments to the chef and his team. When we’re back in the Hamptons next summer, we’ll definitely return to The Hampton Maid for another fabulous omelet, hunt for Honey Crisp apples and try to recreate that delicious omelet all year long until we’re back to enjoy the very best once again at The Hampton Maid. Tagged apple, breakfast, Brie, Cabo San Lucas, corned beef hash, Dan's Paper, Eggs Benedict, ham, Hampton Bays, Hamptons, Honey Crisp, Mexico, New York, New York Times, omelet, restaurant, Southampton.